Competitors in the 2014 PR/Marketing Case Competition faced a real problem: inertia. Not their own, but that of the average small and medium business owner. Executives from the event’s sponsor, Comcast Business, challenged the teams to present ideas for breaking through their customers’ apathy and convincing them that upgrading to faster internet service is vital to their operation and future growth. “We asked ourselves what real issue we needed to solve. Our top competitor really is inertia; it’s something we face every day. 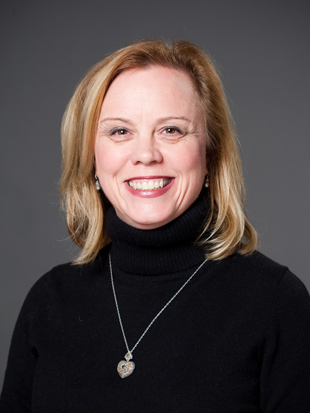 We wanted fresh ideas and fresh eyes,” explained Kathy Hickey ’84, executive director of marketing at Comcast Business. Students from LeBow College of Business and the College of Arts and Sciences applied to participate; those who were accepted were divided into eight teams. Each was tasked with analyzing the issue of customer inertia and presenting their proposed solutions to a panel of judges. The real world nature of the case and the stature of the judging panel, which included Karen Schmidt, vice president of marketing at Comcast Business, inspired a high level of insight and professionalism in the 15-minute presentations. All on the judging panel, which also included Trina Andras, PhD, head of LeBow’s marketing department; Marc Brownstein, president and CEO of the Brownstein Group; Larry Duke PhD, clinical professor at LeBow; Mark Eyerly, executive director of communications at LeBow; and Alexander Nikolaev, associate professor of culture and communication in the College of Arts and Sciences, noted the impressive depth and creativity in the students’ solutions to the problems they faced. “There were great ideas in every single presentation. On the scoring sheet, I filled the box reserved for action items with each group,” said Hickey, echoing a sentiment that was expressed multiple times as the judges deliberated the scores of each team. Every team added a new element to the analysis of the problem, and the judges challenged them further with probing questions during the Q&A segment that followed each presentation. The winning team was ultimately the group that best combined quality presentation, in-depth analysis and insightful responses to the judges’ follow-up questions. The competition’s winners, James Corr and Snehal Yarlagadda both marketing majors, Xiwen Miao, an accounting major, and Weilei Yu, a business and engineering major, were ecstatic to be chosen, but admitted that the road to their winning final product hadn’t been without bumps. They had honed their presentation with a healthy dose of friendly debate and even some heated exchanges. As they had begun planning their strategy, several meetings and a fair share of work had resulted in a plan that they thought could win them the competition. But for the next meeting, James returned with an outline for an entirely new plan. All that debate and revision paid off as James, Xiwen, Sneha and Weilei will have an opportunity to interview with Comcast Business or Brownstein Group and a $1000 prize for the group. The second and third place finishers will receive $750 and $250, respectively. The atmosphere in the case classroom was tense at times with the palpable (and understandable) anxiety of the presenters. But things lightened up after the winners were announced and Jacob Barufkin, a member of the second-place team, let everyone in on a bet he had just lost to his roommate, James. When they were assigned to different teams, they decided to make things interesting by foregoing their usual strategy for assigning chore duty—a game of Super Mario Kart — wagering a full week of chores. And with James’ team coming out on top, it looks like Jacob will be getting his hands dirty around the house. Before class one fateful morning, communications student Patrick Medeo began his daily routine by checking his email. His eyes widened as he read an invitation to participate in a PR/Marketing Case Competition, sponsored by LeBow College of Business and the College of Arts and Sciences. Many business schools across the globe use the business simulation tool MikesBikes, yet Drexel LeBow undergraduate students landed in two of the top eight spots in the 2012 MikesBikes World Championship. 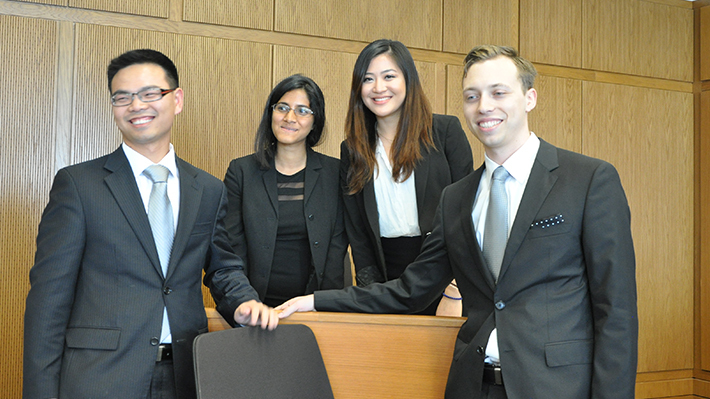 Weilei Yu, Aaron Hartmann, Summer Rose Horan and Daniel Pinto comprised the team SAPYU, which placed second in the competition. Jerome Lynch was the sole member of his team, Vanquish Cycles, which placed eighth.